The 2018 Orange Bowl will host the Big 12 champions Oklahoma Sooners and the SEC champions Alabama Crimson Tide that will battle for the place in the 2019 College Football Playoff National Championship. Alabama is looking to retain the title, and the Crimson Tide is listed as a 14-point favorite on this one with the total at 76.5 points and the Sooners at +450 money line odds. 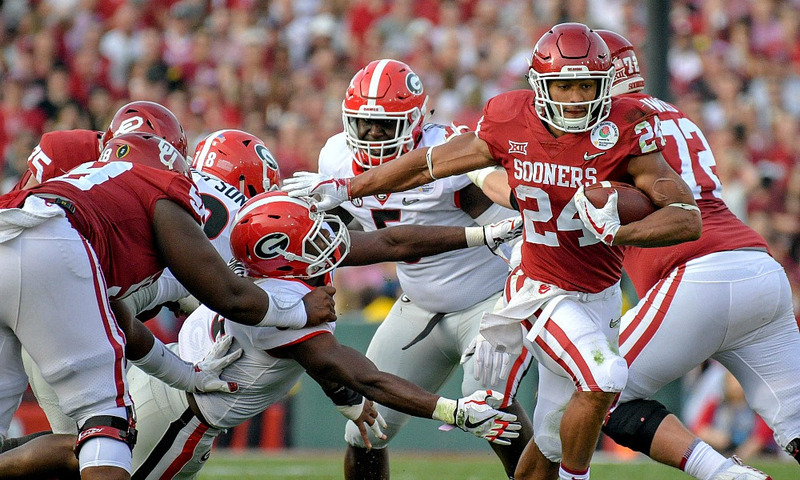 The Oklahoma Sooners (12-1; 5-7-1 ATS) have made it to the Orange Bowl, but they will have to find their best game on both ends of the ball if they want to upset the odds and beat the reigning champions. The Sooners’ defense is allowing too many points all season long, and their only loss came at Texas where they conceded 48 points by the Longhorns. Oklahoma got the payoff in the Big 12 Championship Game where they beat the Longhorns 39-27, while the Sooners are 7-0 straight up and 3-3-1 ATS since their only loss on the season. Oklahoma is averaging 49.5 points (1st in the country) on 578.1 total yards per game (also 1st), allowing 32.4 points in a return (96th) on 448.1 total yards per contest (108th). Kyler Murray is leading this Oklahoma team, and the Heisman Memorial Trophy winner has thrown for 4053 yards, 40 touchdowns, and seven interceptions, completing 70.9% of his passes. Murray has also added 123 carries for 892 yards and 11 touchdowns, proving he’s a huge two-way threat. The freshman RB Kennedy Brooks has 113 carries for 1021 yards and 12 touchdowns, while the sophomore Trey Sermon has 155 totes for 928 yards and 12 TD. The junior Marquise Brown is leading the receiving corps with 75 catches for 1318 yards and 10 touchdowns, while another sophomore CeeDee Lamb has 57 receptions for 1049 yards and also 10 touchdowns. The Alabama Crimson Tide (13-0; 8-5 ATS) cruised through the most of the season, beating their rivals with ease until the SEC Championship Game versus the Georgia Bulldogs. The Tide was down by seven points at the start of the fourth quarter, and Bama’s starting QB Tua Tagovailoa was also down with a foot injury, but his backup Jalen Hurts stepped up to lead his teammates to a great comeback. Hurts tossed to Jerry Jeudy for a touchdown to tie the game, and he scored the decisive TD by himself with just one minute left on the clock. It was a thrilling end of the regular season and a sign that Alabama is not invincible. The Crimson Tide is averaging 47.9 points (2nd in the country) on 527.6 total yards per game (5th), allowing just 14.8 points in a return (4th) on 296.2 total yards per contest (10th). Tua Tagovailoa is leading Alabama with 3353 yards, 37 touchdowns, and four interceptions, completing 67.7% of his passes. Tua is still recovering from an ankle injury but should be ready for the Orange Bowl. Damien Harris and Najee Harris are leading the backfield, combining for 1450 rushing yards and 11 touchdowns, while the junior Josh Jacobs scored 11 TD by himself on 94 carries for 495 yards. Jerry Jeudy is leading the receiving corps with 59 catches for 1103 yards and 12 touchdowns, the freshman Jaylen Waddle has 41 receptions for 803 yards and seven touchdowns, while the sophomore Henry Ruggs III has 42 catches for 724 yards and 10 TD. The Tide will miss three players on this one due to a suspension, and the starting left guard Deonte Brown is one of those guys. This will be the clash between two arguably best QB in college football, but both teams also have plenty of quality options in their ground game, especially the Sooners with Brooks and Sermon in the backfield. Alabama’s defense will have to find the way to cope with Oklahoma’s dynamic attack that can make damage in so many different ways, while Sooners’ only hope is to keep it rolling on the offensive end. If you look at the numbers, Oklahoma’s defense has been dreadful so far, and they will have a mountain to climb to slow down the Crimson Tide. I think Alabama’s defense will eventually make the difference on this one, but I’m backing the Sooners to stay close on the back of their tremendous offense. The chalk has been set pretty high, but the bookies couldn’t set it lower with all attacking weapons on both sides of the field. The Sooners look like they can score on every possession, while their defense will make a wonderwork if they limit the Crimson Tide under 35 points. Hereof, I’ll take the over, hoping we’ll see a true spectacle on this one.